Never before has technology had a greater influence on the body. Our physical selves can increasingly be monitored and, when necessary, improved. And the relation between the human body and its surroundings has never been subjected to so much control. We are constantly faced with the choice: buy or boycott, opt-in or opt-out. The 1972 Olympic Games offered the host country, West Germany, an unrivalled opportunity to portray itself to the world as a modern, democratic and culturally aware nation. Various design disciplines played a central role in the preparations for the games. Architecture, design and landscape architecture were integrated in a total design intended to exude openness and inclusivity. This carefully constructed image was marred two weeks into the games when eight members of the Black September Organisation infiltrated the Olympic Village and took the Israeli team hostage. 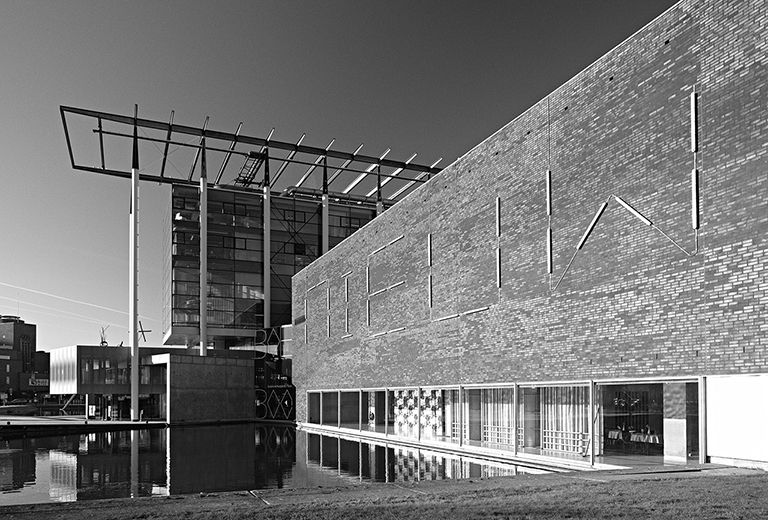 With the introduction of a new search portal – search.hetnieuweinstituut.nl – Het Nieuwe Instituut gives the public direct online access to one of the world’s largest architecture collections. The State Archive of Dutch Architecture contains 1.4 million drawings; 300,000 photographs; 2,500 models and 70,000 books and magazines, which together document the history of Dutch architecture and urbanism. Among other features, the search portal allows professional researchers and others to consult 130,000 images in detail via a special viewer.